Though it was unveiled last month at an event in Hong Kong, it was tough to get an idea of the scale of threeA's Metal Gear Ray figure until now. 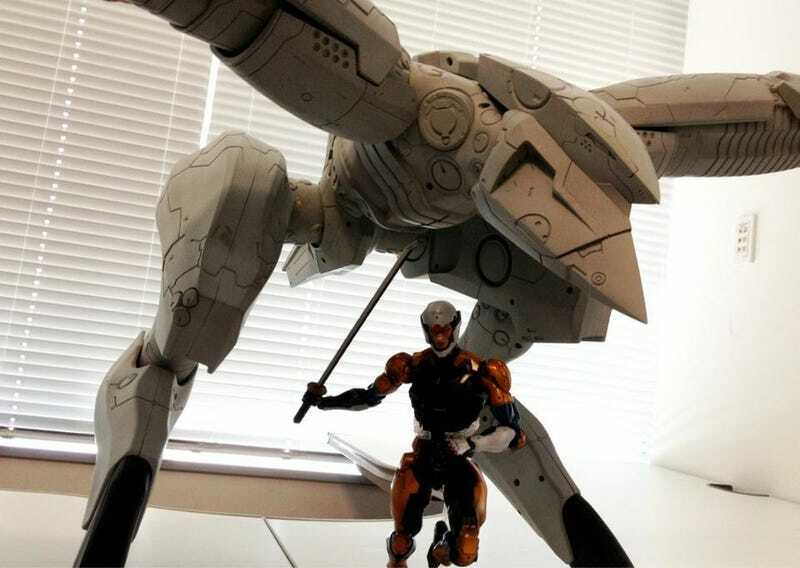 And boy, it's just as big and ridiculously excessive as the company's Metal Gear Rex was. That "small" figure underneath it is Square Enix's Cyborg Ninja, which is actually pretty damn big itself. For a better idea of the scale, check out the images below (open them in new tabs to see the full-size image).